1. Make a few incisions on the mackerels. 2. Mix salt, pepper and oil in a bowl. 3. Rub this all over the mackerels. 4. Heat a grill to hot and place the mackerels. 5. Cook for 5 to 6 minutes on each side until cooked through. 6. Remove and sprinkle coriander leaves on top. 7. 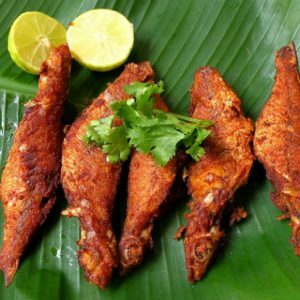 Serve hot with lime wedges. 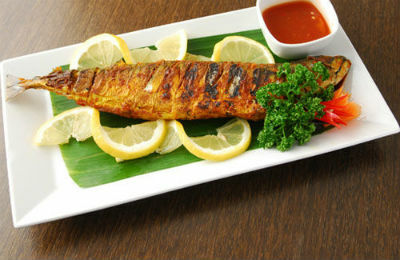 Feel free to comment or share your thoughts on this Grilled Mackerel with Coriander Recipe from Awesome Cuisine.